So much squash, tomatoes, onions, and basil coming out of the garden. This is my attempt at making a small dent in our bounty ! To make this meal a little heartier, you could add some pre-cooked chicken or black beans. Melt butter over medium-high heat. 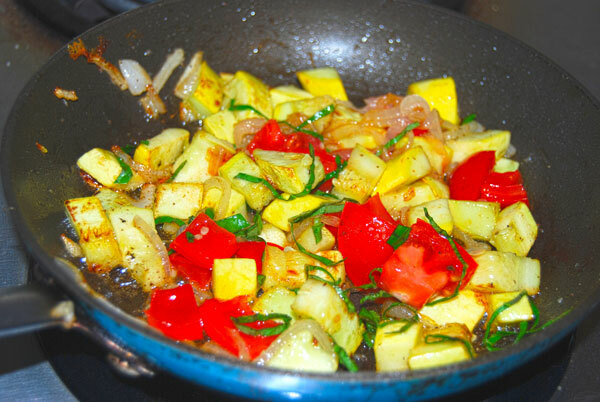 Add onions and sautee until they are translucent and begin to caramelize. 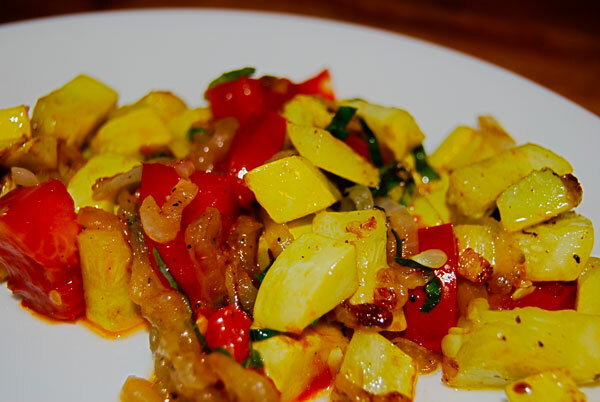 Add squash, salt, and pepper to pan, and cook for 2-3 minutes. I like my squash “al-dente”, so it doesn’t take long. Add the tomatoes and basil at the very end.